We’ll touch on bouldering, sport climbing, trad climbing, alpine climbing, big wall climbing, aid climbing, mountaineering, ice climbing, and mixed climbing. We do not touch on top-roping or lead climbing as these are styles of setting up the rope on a climb versus particular disciplines of climbing. Bouldering requires the least amount of gear. The idea is that you climb shorter climbs, or boulders, so you don’t need a harness and rope. You can do this indoors or out. It’s becoming increasingly popular because of the minimal gear required and larger social possibilities. It’s always nice to have a spotter (human and padding). You’ll hear about climbers like Dave Graham, Daniel Woods, Alex Puccio and Alex Johnson making bouldering headlines in spots like Hueco Tanks, TX (where bouldering started! ), Joe’s Valley, UT, and Bishop, CA. 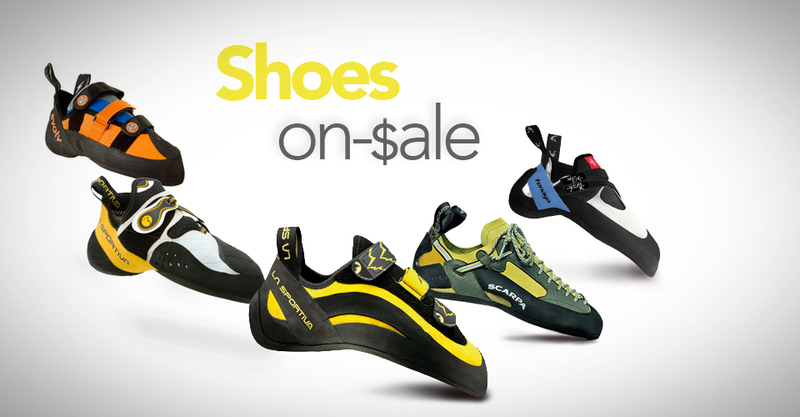 Sport climbing is the most popular type of climbing and can be done indoors at a gym or outside at the crag. Popular crags include Red River Gorge in Kentucky and Smith Rocks in Oregon. 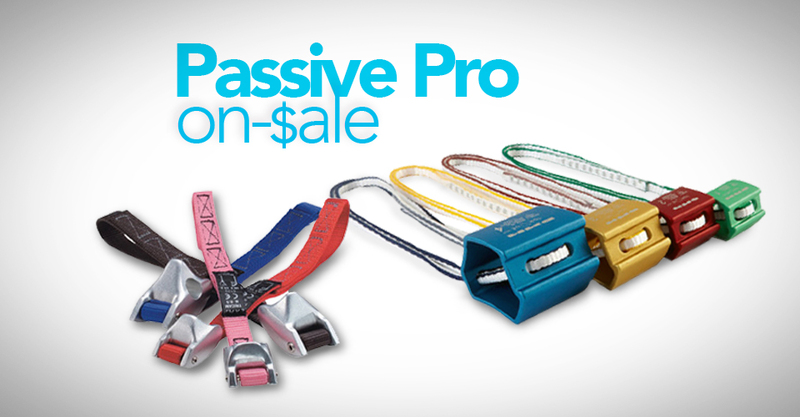 Sport climbing consists of clipping quickdraws into bolt hangers that are permanently fixed to the wall. 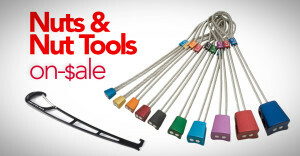 These clips will catch your fall as you lead up the wall. This is the type of climbing you most frequently see Sasha Digiulian, Chris Sharma and Adam Ondra doing. It can be single pitch or multiple pitches. 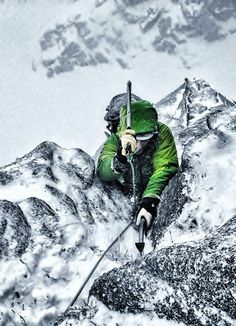 Short for “Traditional” climbing, trad climbing is a broad term used to describe climbing with traditional protection (stoppers, cams, etc) for temporary protection. There are no bolts or other permanent pieces of protection like in sport climbing. Normally trad climbing is along cracks in the rock because cracks are the type of feature you can protect with trad gear. From Squamish, British Columbia, to Indian Creek, UT, and Joshua Tree, CA, you will find trad climbers everywhere. Pamela Shanti-Pack and Hazel Findlay are two brave women tradsters and you’ll hear lots of other names like Cedar Wright and the iconic Yvon Chouinard. This is climbing a really big wall (mostly trad climbed, occasionally sport bolted). 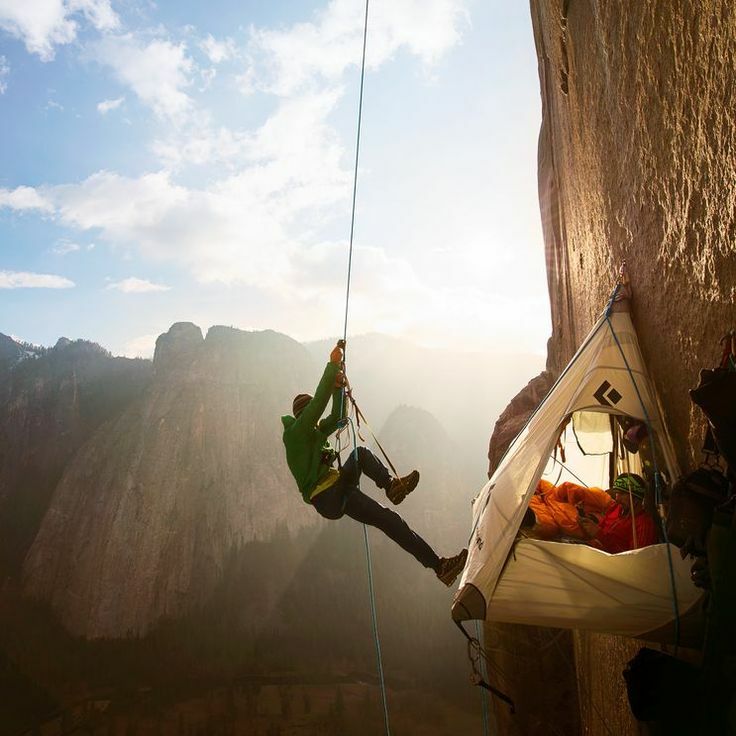 This is the type of climbing done by duos Tommy Caldwell / Kevin Jorgeson and Mayan Smith-Gobat / Libby Sauter in Yosemite National Park. It often involves multiple days (unless you’re a speed climber like Hans Florine) and you sleep on the wall on a collapsible platform called a portaledge. Pro Tip: Learn the difference between Free Climbing and Free Soloing, as this confusion is apt to annoy seasoned rock climbers. Often guidebooks will provide the names of the first party to complete a climb, as well as those with the FFA (First Free Ascent) if the original first ascent included any aid climbing. This is why Lynn Hill is seen as one of the best women climbers ever, as she was the first person to free climb The Nose. Free Soloing is when you do not use a harness or rope and are soloing up the rock without a partner. It’s usually how Alex Honnold ends up in major media headlines. Only an extremely small percentage of climbers ever free solo a climb. 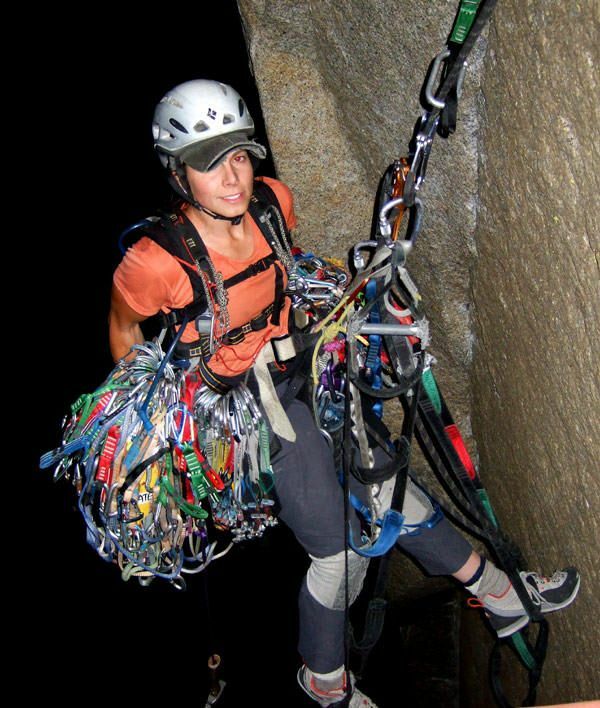 For normal ascents, big wall climbing requires a lot of gear as you’re climbing many pitches and you’re likely to run into different styles of climbing. 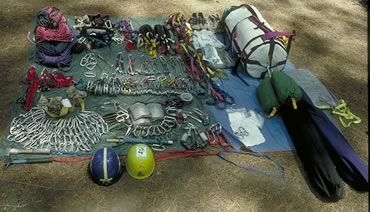 Aid climbing is a subset of big wall climbing and requires very small gear that is often not rated for free climbing. The trick is that you do not fall on your gear, but only use it to hold your weight as it assists you upwards. You climb with ladders made of webbing–both ladders are held to the wall thanks to the gear you placed above your head and you walk up the ladder until you place the next piece of gear as high as you can for the next ladder. All of this gear is temporarily placed, and can be in cracks so small (seams) that they can barely fit a fingernail. Aiding is how many original routes were climbed in Yosemite, because they were considered too hard to be free climbed. There are still many climbs that have not been climbed free but have been aid climbed, including many ascents by aid climbers Chris MacNamera and Ammon McNeely. A subset of trad climbing, alpine climbing often requires longer hikes/treks (approach) to reach a mountain to climb. Usually the climb is multiple pitches. There may be snow/ice climbing on the route and on the approach. Alpine climbing requires more technical climbing than mountaineering (explained below). Climbing Cerro Torre in Patagonia would be considered alpine climbing. Ueli Steck, Hayden Kennedy, Kelly Cordes, Colin Haley, and Kate Rutherford are just a few big name alpine climbers. Depending on your country of origin and objective, this can be called mountaineering, snow slogging, or glacier walking. 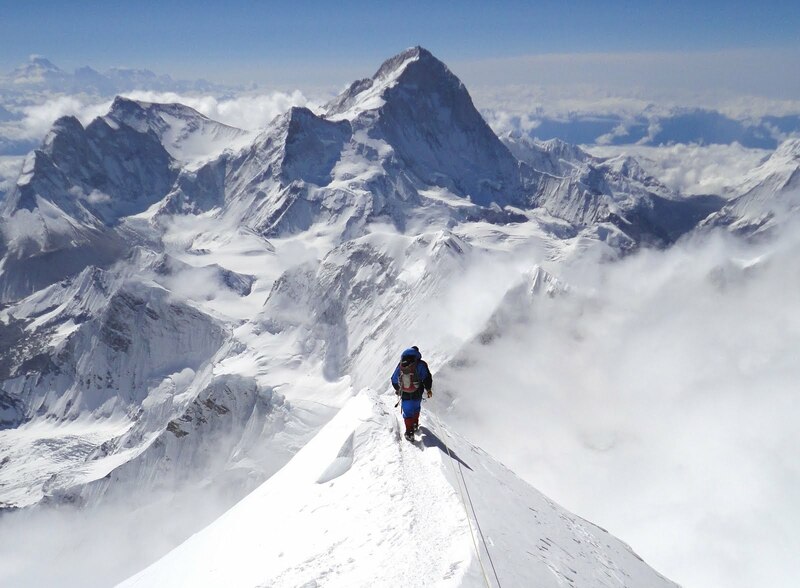 It can range from climbing small peaks and volcanoes (like Mount Rainier) to scaling Everest, like Melissa Arnot, who has climbed Everest 5 times (the most of any women). Ed Viesturs is another high-altitude mountaineer who was the first American to climb all 14 of the world’s 8,000 meter peaks and Dave Hahn who has climbed Everest 14 times, the most of any non-Sherpa climber. 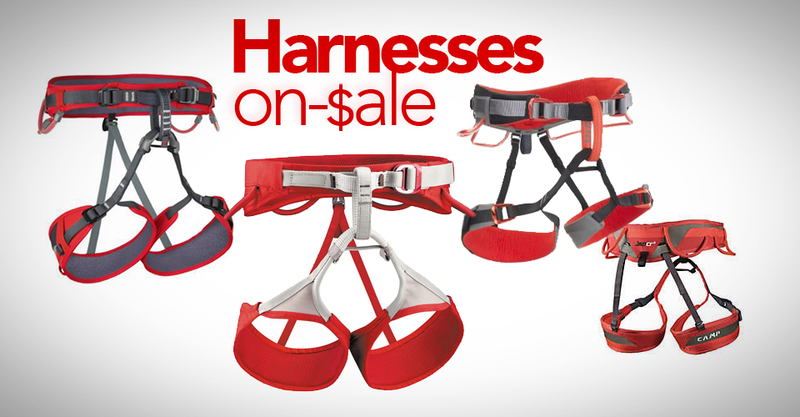 A rope and harness are typically used to protect yourself in case of a crevasse fall instead of vertical climbing. You may climb very steep snow/ice but generally you’re not climbing large portions of rock. If there is vertical climbing, you’re still climbing in mountaineering boots, so the grade will be much lower. A lot of times you hear climbing as “rock snow or ice.” Ice climbing is most similar to trad climbing but instead of cams your protection is ice screws. 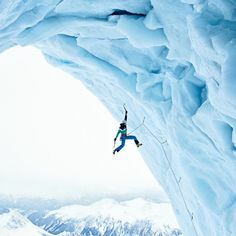 The motto in ice climbing is “Don’t fall” because you have a lot of sharp objects that are extra dangerous to fall with. 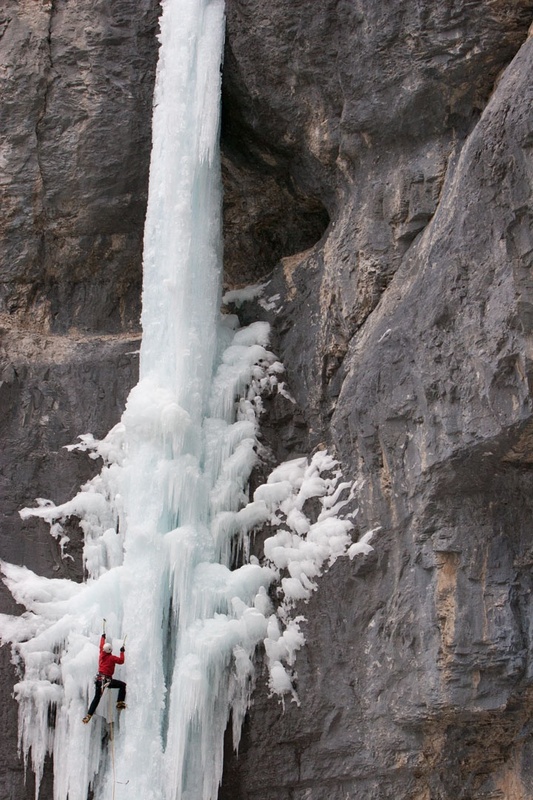 There are multiple types of ice climbing, but in photos you most often see waterfall ice climbing where you are climbing frozen waterfalls. 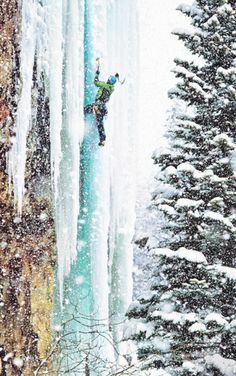 In Ouray, Colorado, they’ve created the man-made Ouray Ice Park that gives 200 cragging opportunities for ice climbers. Steve House and Jeff Lowe are some household guy ice climbers and Kitty Calhoun, Jen Olsen, and Kim Reynolds (who started Chicks with Picks) are a few of the ladies crushing it. Mixed Climbing combines ice climbing and sport/trad climbing with crampons on. 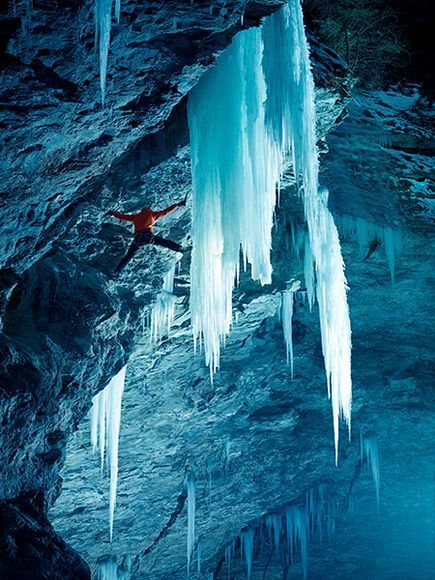 It can look like climbing on rocks with ice tools. While mixed climbing you often move from ice to rock and back again. 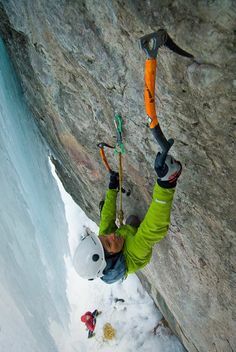 Since the ice is usually thinner, it is harder to place ice screws so instead the climber can place trad protection in cracks in the rock or sometimes established mixed climbs will often incorporate bolts. Will Gadd, the late Alex Lowe, Dawn Glanc and Jen Olson are names that you’ll often see. If you have any questions about these types of climbing or any others you’ve heard of, feel free to leave a note in the comments. Great article: well written and concise, as is the whole WMR site (I love the UI — not only a great climbing site, a great website full stop). For all the new climbers coming out of the gym and looking for clear and simple explanation of the greater climbing world, this article covers it. We’re blushing over here, thanks for the review Tim!